The investment in power lifting is producing positive results. Yesterday at JP Fitness Centre in Mulivai, the Samoa Power lifting Association held its Power lifting National Championship 2016. The competition consisted of squatting, bench press and dead lift. The lifter of the tournament of the Under 105kg sub-Junior Division (under 18) is Tiperio Silialaei with a of total 640kg. 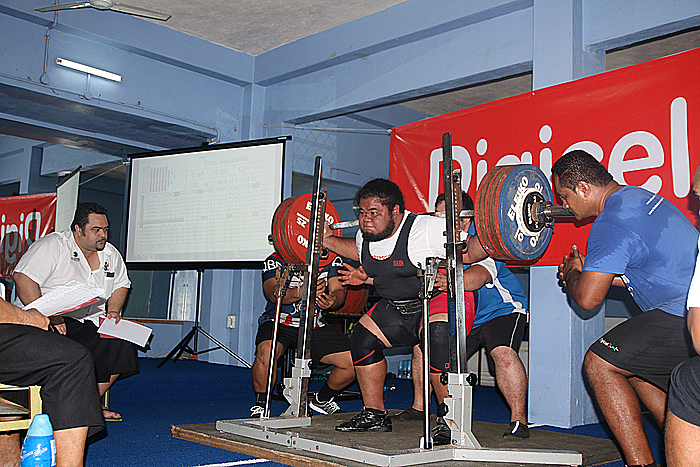 Tiperio Silialaei, who is 17 years old, shattered the record by squatting 240kg and the Oceania qualifying standard is 217.5kg. The team will be attending the Asia and Oceania Power lifting Championship which will be held in Christchurch, NZ later this year in December. Fruean would like to the acknowledge the various people and sponsorships who have supported the Samoa Powerlifting Association: the Minster of Education, Sports and Culture, Loau Keneti Sio, S.I.F.A, JP Fitness Centre, in particular the owners, Junior and Priscilla Leota. As well as Ah Liki Wholesales, Taimalie Charlie Westerlund and Digicel’s C.E.O Rory Condon and the Digicel team.